You guys probably think I'm kidding, or maybe just not being very nice. But I'm actually serious. Here's my point. 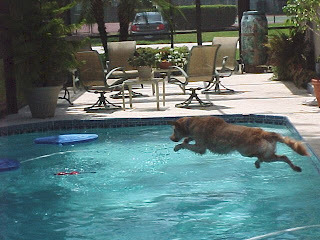 Sometimes when us Big Dogs get to fetching and splashing and fun stuff like that, a little dog in the pool might get splashed under. This could be scary for some little doggies like Oliver. Once my mom took Oliver and me into the pool together. I made a lot of splash and Oliver put his ears back like a frightened kitten. Mom got him out and decided we would take our swimming sessions separately. Now Oliver plays on the pool deck while I swim, so I don't splash him too much. Sometimes he runs around the pool barking orders like "Go get that toy" or "Get out of the pool" or other silly stuff like that. I pretty much ignore him. Oliver's really not a big fan of my Big Boy pool. He likes the kiddie pool better. 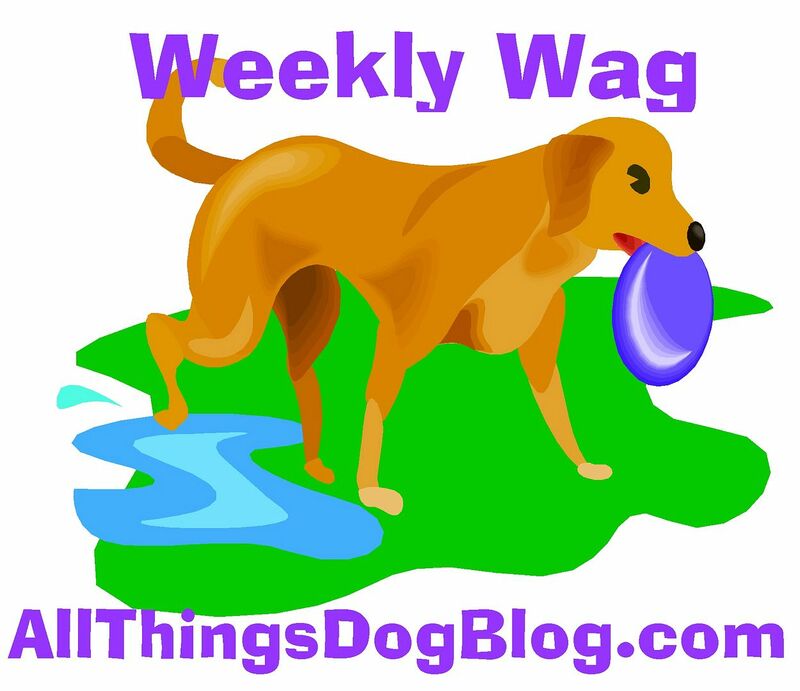 You can read Mom's article about little dogs and kiddie pools at All Things Dog Blog. Juliet is the cover dog for the day. She's Oliver's girly-friend--a Yorkie. Okay, I'll admit she's cute. Just remember that Mom says I'm cute too--knobby head and all. 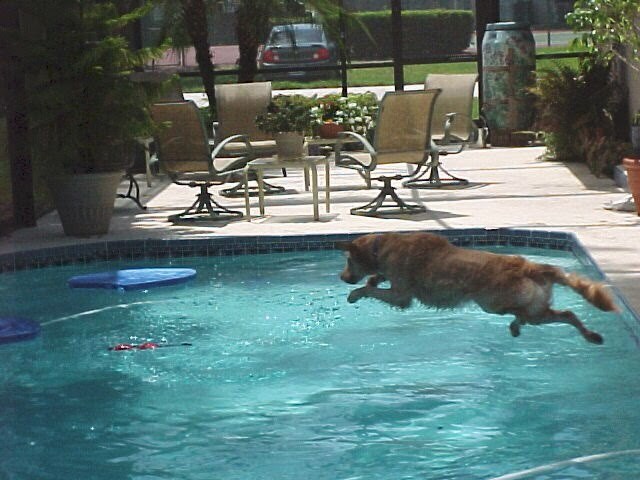 More importantly though, I'm much better at launching into the pool than Oliver.